P.S. 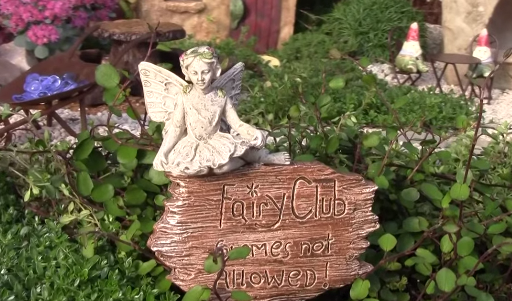 This is a silly response to anti-gnome signs in a video about fairy gardens. After playfully bantering with Trini, my mischievous elf decided the gnomes needed a fair voice. We all need love, imagination and play. Gnomes Unite! 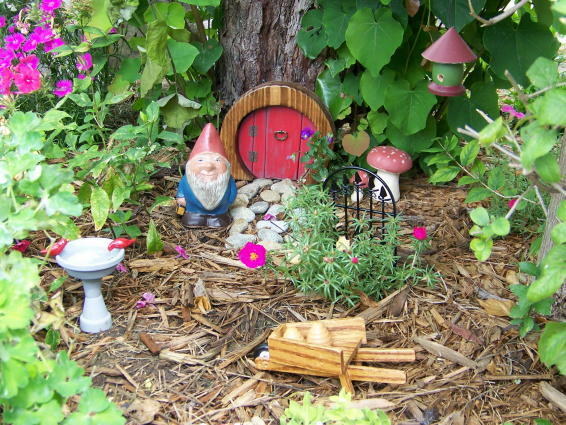 1st photo is from Sandi in Iowa of “Norm the Gnome” from Kimmel Gnomes website. 2nd photo is a snippet from the Minature Fairy Garden Village video. In a bit of synchronicity, this delightful character showed up to keep the peace between gnomes and fairies! 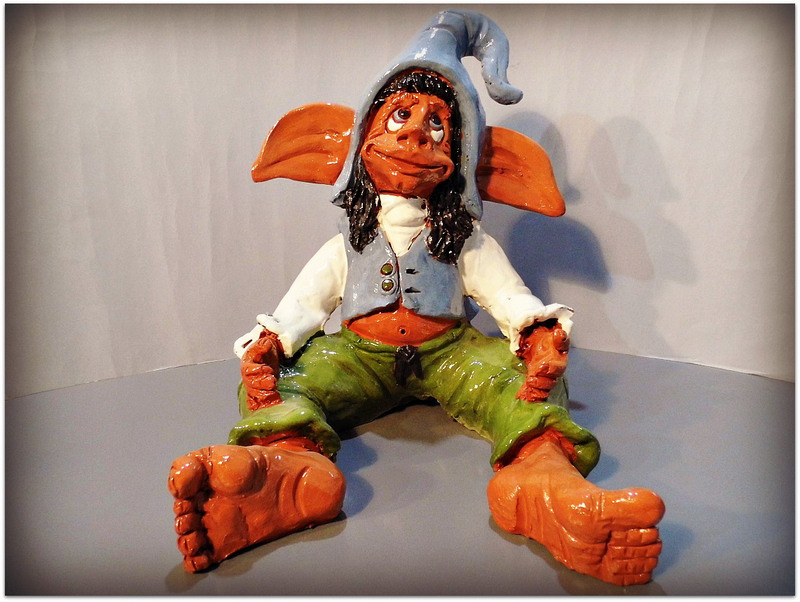 This photo is from my Gnome loving ceramic artist Belén Soto. 😉 ha ha ha! That was cute, Brad!